yeah! strip dat pilla naked! UDK’s fracture tool makes it possible to create remarkably interactive, deformable worlds. Easily craft all types of destructible environments and objects that break apart just as you would expect them to in real life. Splinter walls and floors layer by layer. Blow apart rocky structures chunk by chunk. Add cool physics elements and particle effects. 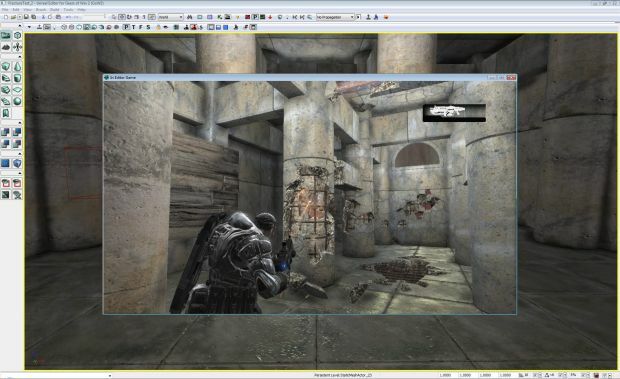 UDK gives you total control over destruction.